Ayurveda, the science of life, which has the primary aim as to preserve the health of healthy individual laid down all the preventive principles which are necessary in maintenance of health under the subject Swasthavritta, which is known as Preventive and Social Medicine or Community Medicine in modern medical science. The concept of Swasthavritta is pioneer in the field of medicine propagated by our ancient seers and is basic need for building a healthy society. 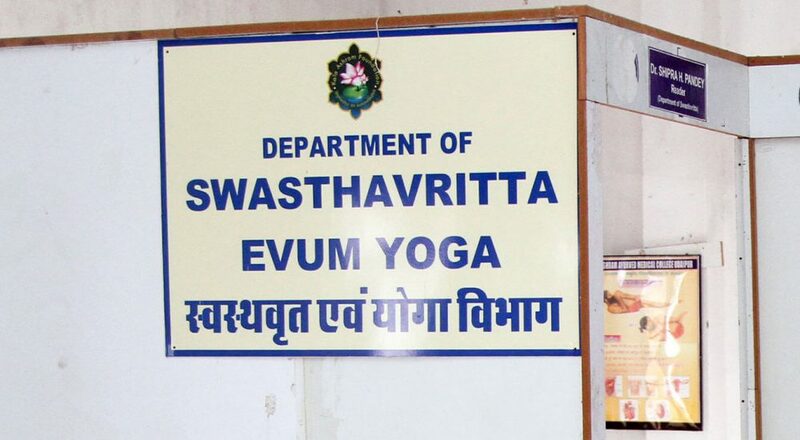 This clinical department is working for uplift of Swasthavritta in the field of Ayurveda. The department has its own library and department has a computer, printer, digital camera, LCD projector etc. 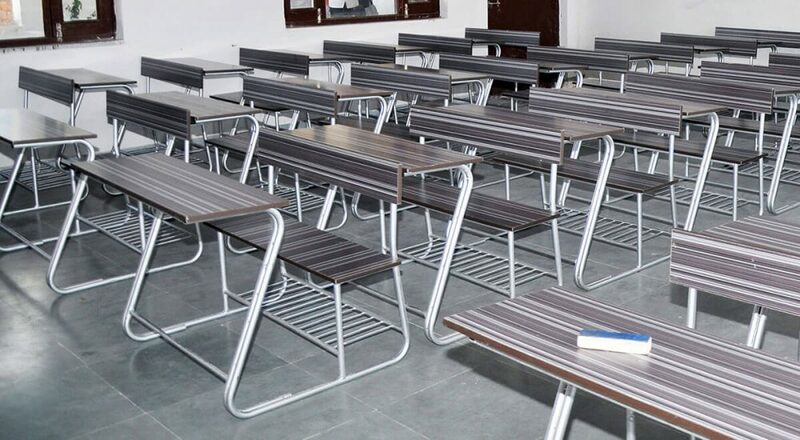 All essential practical are carried out in this department. Tutorial room is fully reached with teaching learning facilities. 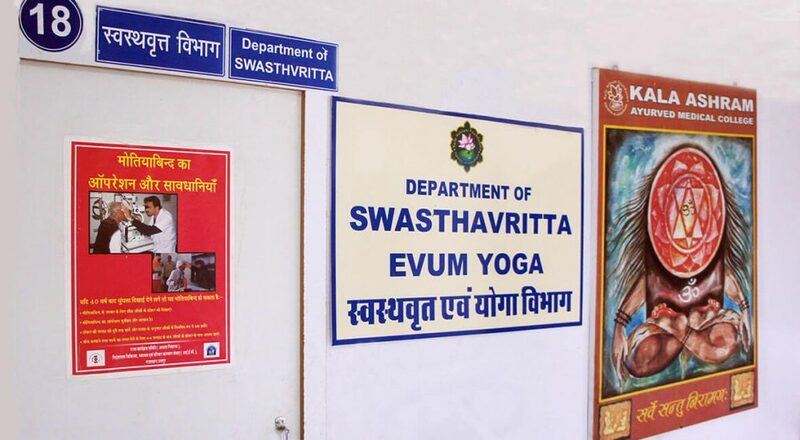 Department have separate spacious yoga hall for practical training for students. The Department is well established with a class apart teaching faculty and well equipped yoga hall for infusing knowledge to students. The main intent of public health is to promote a healthier population and minimize the effects of disease, disability and injury. Swasthavritta has unique concepts and methodologies to address primary health care. With well-designed plan, it is possible to apply the sound principles of Swasthavritta for promoting longevity with improved quality of life at the level of the individual as well as the community. The main objective of this department is to improve the health of the communities including rural, underserved and global populations through education, research, outreach, service and creative partnerships through Ayurveda. 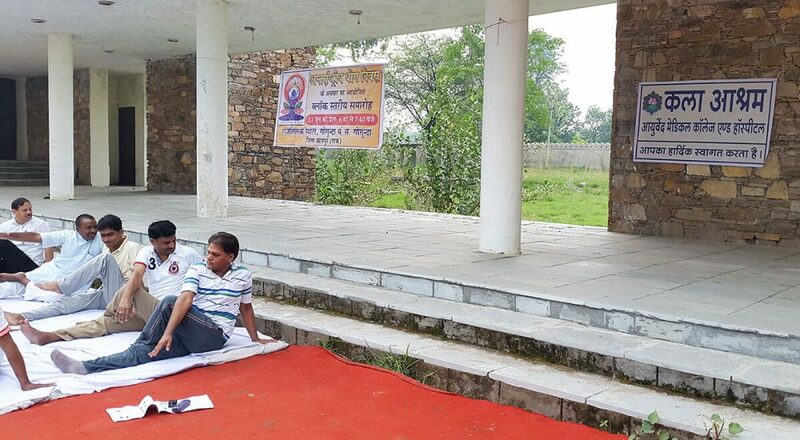 The another objectives of this department is to provide community based service, provide preventive services to the society in respect to communicable, non-communicable diseases, to know and involve in national health programme, understand and practice of yoga and diet systems, propagation of yoga, celebration of international day of yoga. Trains undergraduate ayurved medical students about hygiene and postures and techniques of yoga. Tutorial Room with full-fledged audio-visual units. Yoga Hall with facilities of adequate yoga mats, charts of yoga and audio-visual equipments. Students learn and deal with introduction, definition of swastha, swasthya, Swasthvritta, dinacharya, rathricharya, ritucharya, sadvritta. Learn of trayopastambha like ahara, nidra, brahmacharya and roganutpadaniya- Rasayana for swastha, ashta nindita purusha and menstrual hygiene. In the second part of study, students learn of introduction of yoga, panchakosha theory, astanga yoga, pranayama, shatkarma, bandha and mudras, description of yoga in ayurveda, nisargopachara (prakritika chikitsa), jalachikitsa, mrittika chikitsa, suryakirana sevana, mardana, diet types, upavasa chikitsa, visrama chikitsa. In the part second students learn of samajika Swasthvritta, disposal of solid waste, school of health services, epidemiology, non-communicable disease epidemiology, hospital building, parivara kalyana yojana, world health organization and international health agencies.